Info:This cap features the character Scorpion from the Mortal Kombat video game. 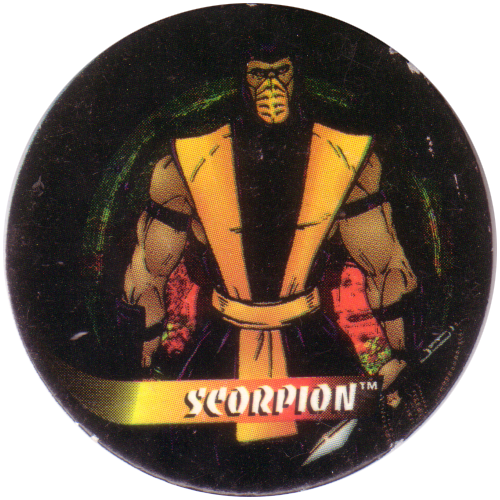 The cap is not numbered, but it is probably one of a series showing the different characters from Mortal Kombat. 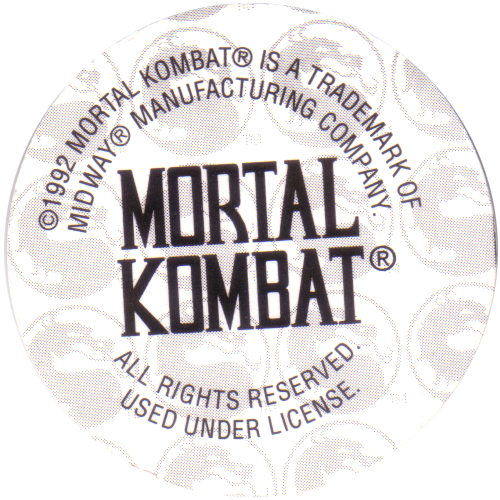 For other Mortal Kombat pogs, see also the Mortal Kombat 3 Dunkin Caps and World Flip Federation Mortal Kombat Flying Flip milk caps.